Due to unforeseen circumstances we are now deferring the AGM until early July. The latest copy of Inform (AOCS) magazine stars the research group form Plant and Food research and Massey University who have done such excellent work on avocado and olive oils. The authors of the review article entitled” What is unrefined extra virgin cold-pressed avocado oil” are Marie Wong, Cecilia Requejo-Jackman and Allan Woolf. The article title actually appears on the front cover and features on AOCS revamped website. Next stop an article in Nature? Standards Australia is about to embark upon a project to develop a new Australian Standard for olive oils and olive-pomace oils traded in Australia. 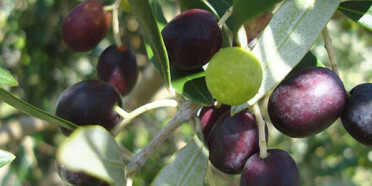 This project is being sponsored by the Australian Olive Association. Standards Australia would like to thank the Oils and Fats Group for their indication of support for this project and would like to invite them to nominate your representative to contribute to the development of the proposed Standard. As part of the Technical Committee, your representative will be assessing the topic for further development and advising us on the suitability of the content for further development as an Australian Standard. Three fundamental principles that underpin the Standards development process are consensus, balance and transparency. Such robust foundations provide Australian Standards with their authority and widespread acceptance for voluntary industry adoption and, in some cases, for reference within legislation for mandatory purpose. Contribution to the development of Standards and related consensus documents is voluntary and involvement provides technical experts in this field with the opportunity to contribute their skills and knowledge to the development of a Standard for the betterment of the industry, which ultimately delivers Net Benefit to the wider Australian community. It is envisaged that the Technical Committee working on this project will meet around 4-6 times over the next 12 months. Each meeting may last for approximately 6 hours. Meetings will largely be run out of Standards Australia offices in Sydney however, there is always the opportunity to meet over the telephone. Meeting dates and details will be communicated in due course. This first meeting is likely to be schedule in mid June 2010. The AOCS Australasian Section (AAOCS) is holding the next Biennial Conference in Cairns to coincide with the International Symposium of Plant Lipids (ISPL), 13-14 July 2010 (Tuesday to Wednesday). The Committee invites you to submit abstracts for consideration for inclusion in the AAOCS conference program. · Other activities that support the lipid industry and oils research. Not all salmon sold in New Zealand is created equal. There are two types on the market in New Zealand. Washed by pristine Pacific Ocean waters and blessed with a disease-free environment, the Regal King Salmon farms in the Marlborough Sounds breed premium salmon products. Regal King Salmon is produced by NZ King Salmon and unlike that of competitors, the company’s salmon live a right royal existence. And that has seen New Zealanders enjoy superior taste, colour and texture in a fish that has more than twice the Omega 3s of Atlantic salmon. NZ King Salmon has been farming King salmon in the pristine waters of the Marlborough Sounds for almost 20 years. The company is the biggest farmer of King salmon in the world. Pacific King Salmon – a breed apart from the Atlantic Salmon farmed across the ditch – are prized for their taste, firm texture, naturally-high in Omega 3 oil content and vibrant rich orange / red colour. King salmon is the species that New Zealanders know and trust and world-wide it’s generally acknowledged as the premium salmon species. However, Atlantic salmon produced in Australia is now appearing on Kiwi supermarket shelves and because it’s not labelled as imported it appears many New Zealanders are none the wiser.“While the two may look similar in the supermarket cooler, later, on the plate at home, the taste test can be disappointing for those who have opted for Atlantic salmon,” says Regal Salmon CEO Grant Rosewarne. Professor Calder and his co-workers recently demonstrated that omega-3 fish oil has significant anti-inflammatory effects in treatments of sepsis in intensive care. Critical Care (2010) in press.